Reversible, heavy duty Oversize Load / Wide Load Banner. 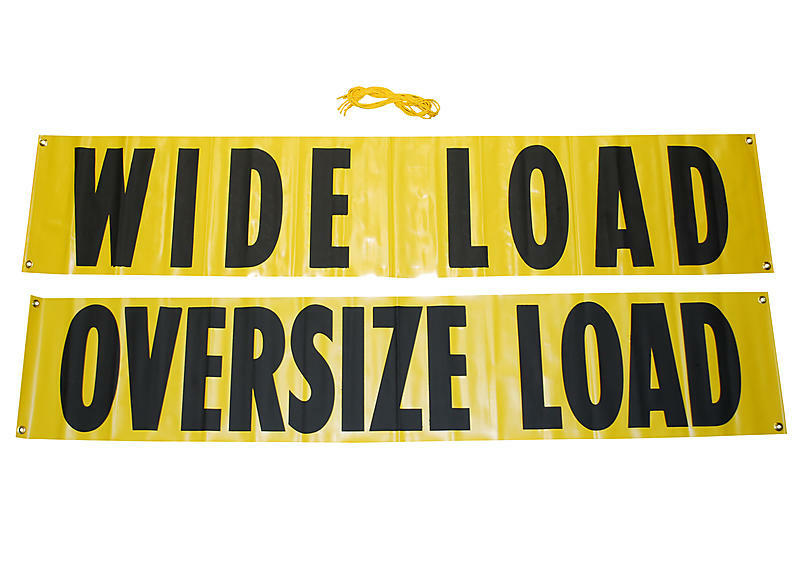 This oversized wide load banner is reversible, containing two phrases: OVERSIZE LOAD on one side and WIDE LOAD on the other side. Made of durable material with 12” tall letters. Grommets in each corner for mounting or to attach the weatherproof polypropylene ropes. In transport, an oversize load or overweight load is a load that exceeds the standard legal size and/or weight limits for a specified portion of road, highway or other transport infrastructure.